"The RF-X does a great job of dampening room noise for vocalists, giving you a dry vocal sound to which you can add effects in the mix...we found it worked really well, getting the same result as far more expensive options." And just like the RF Pro and RF SPACE, each RF-X is assembled by hand in the sE factory. A microphone + RF-X package that gives you everything you need to start recording. "Gone is the mud...the difference is like night and day. I went from somewhat skeptical to wishing I had bought this product years ago." "Really helps get rid of unwanted reflections and room sound when my recording environment isn't the best. I'm completely happy with the portable vocal booth, and it has definitely improved my sound. Thanks guys." "It sounds as clean as the professional studio I work in!" "It's the only one I've found in this price range that has somewhat true diffusion (most are solid or just have holes drilled in them)." "The quality of my vocal recordings in my untreated room improved immediately; in fact, I could hear the difference even before I hit the record button, just standing in front of the device warming up." "This is the perfect tool for an in-home recording set up. I had a great, simple set up in my last apartment but recently moved. The new apartment is very small with no clear space for VO my studio. I have had to create some sound proofing panels, which are working fine, but I still needed something to catch the reflected sound off of my big computer screen at my desk. This does the trick perfectly. Just wish I'd known about it sooner." "After using this, I instantly realized how many problems I had in my booth, because all of a sudden they weren't there anymore." "As far as clarity is concerned, the filter made the biggest difference." "Everybody should get this product if you're thinking about recording anything. Because it's going to take you to the next level of professional and quality recordings." 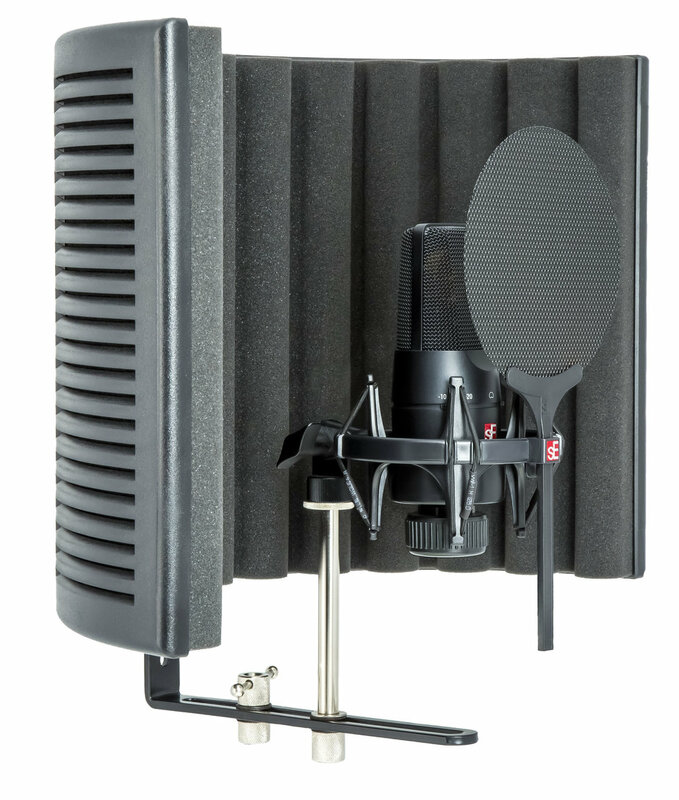 "Best option on the market other than an actual vocal booth/room." "It did two things: one, made capturing my instrument's true sound much easier, and two, saved me lots of money." "I was pretty skeptical when I bought this, but I finally gave in after listening closely to recordings I've made in my living room. I would now say that this is a must have for any project studio with an untreated room." "You need this even if you don't think you do. Bottom line: I didn't know how good my equipment could sound until I got this little fellow."